LAS VEGAS (AP) -- Casino tycoon and GOP super donor Sheldon Adelson delivered a business lesson on Monday during testimony in a multimillion dollar breach of contract case. 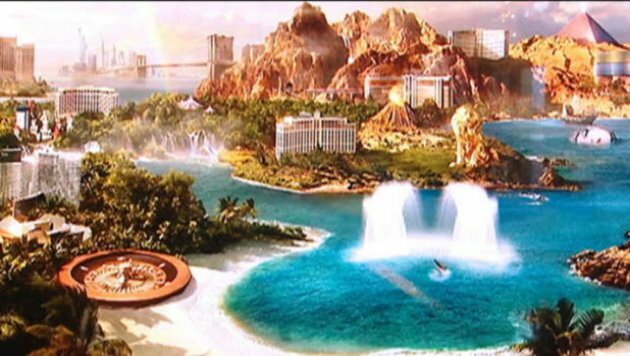 MGM's proposal for a huge casino complex in Toronto. The possibility of a downtown Toronto casino took a more concrete form on Monday when the cityâ€™s manager released a report recommending a size limit and profit expectations for the controversial project. A Toronto city report recommends that any casino built in downtown Toronto must include more convention and retail space than originally envisioned by the province. LAS VEGAS (AP) -- Casino mogul and GOP mega-donor Sheldon Adelson is back on the witness stand in Las Vegas for what is expected to be his final day of testimony in a breach of contract suit. LAS VEGAS (AP) -- Casino mogul and GOP super donor Sheldon Adelson delivered a business lesson on Monday while testifying in a multibillion dollar breach of contract case. CINCINNATI (AP) -- Ohio's newest casino raked in $21 million during its first month of operation as the state's three other casinos saw double-digit percent increases in their revenues, according to a report released Monday by the Ohio Casino Control Commission. One of the men found dead at a Gatineau, Que., daycare on Friday was shot in the daycare's nursery, where five toddlers were present, multiple police sources told Radio-Canada. LAS VEGAS (AP) -- Casino mogul and GOP super donor Sheldon Adelson presented a more cantankerous face during his second day of testimony in a breach of contract case in Las Vegas. LAS VEGAS, Nev. - Casino mogul Sheldon Adelson is presenting a more cantankerous face his second day of testimony in a breach of contract case in Las Vegas. Attorneys for Hong Kong businessman Richard Suen say Sands owes him $328 million because he worked behind the scenes to help the company win a gambling license in the Chinese enclave of Macau. CHARLESTON, W.Va. (AP) -- A bill to lower the fees on West Virginia's racetrack casinos has stalled in a House committee. The bill would have lowered the fees by $1 million for each casino. Wheeling Island casino threatened to drop table games unless its fee was lowered.